Welcome to the http://www.macinteriors.com/ website (the “Website”). The Website is owned and operated by Magnetic MRO AS (company code 10865988, VAT code EE100764615), with a registered office at: Väike-Sõjamäe tn 1a, 11415, Tallinn linn, Harju maakond, Republic of Estonia (“Magnetic MRO”). 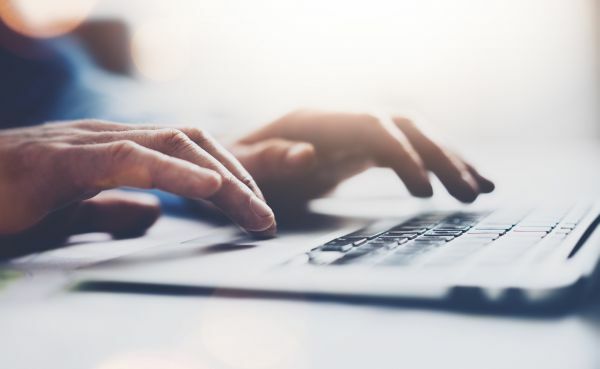 Magnetic MRO uses technology to collect information about the use of the Website and to distinguish the User from other users of Website in order to improve User‘s experience while browsing the Website. Magnetic MRO uses both types of cookies. The first type, which is called a persistent cookie, stores a file on User’s hard disk for a certain period of time. The other type, which is called a session cookie, is only stored temporarily during the time the User visits a site. This website uses Google Analytics, a web analytics service provided by Google, Inc. (“Google”). Google Analytics uses “cookies”, which are text files placed on your computer, to help the website analyze how users use the site. The information generated by the cookie about your use of the website (including your IP address) will be transmitted to and stored by Google on servers in the United States. Google will use this information for the purpose of evaluating your use of the website, compiling reports on website activity for website operators and providing other services relating to website activity and internet usage. Google may also transfer this information to third parties where required to do so by law, or where such third parties process the information on Google’s behalf. Google will not associate your IP address with any other data held by Google. By using this website, you consent to the processing of data about you by Google in the manner and for the purposes set out above. You can control and/or delete cookies as you wish by selecting the appropriate settings on your browser, for details, see aboutcookies.org. However, please note that if you do this you may not be able to use the full functionality of this website. You may provide personally identifiable information (“personal data”) about yourself when you use our services and, of course, when you fill in your personal data in “contact us form”, “job application form”, “registration to training form”, “training request form” or “training newsletter subscription form” on our Website (name, e-mail address, phone number, job title, the company you are part of, and your postal address). Persons that are under 16 years old cannot provide their personal data through this Website. If you are below the age of 16 years, please provide consent for personal data submission and processing by the holder of parental responsibility over you. How you interact with our website. The legal basis for the processing of your personal data for the purposes indicated under sections a), c), d), e) and f) of the previous paragraph is Article 6.1.a. of the GDPR. The legal basis for the processing of your personal data for the purposes indicated under section b) of the previous paragraph is Article 6.1.b. of the GDPR. The legal basis for the processing of your personal data for the purposes indicated under section g) of the previous paragraph is Article 6.1.f. of the GDPR. The provision of your personal data is voluntary, but any refusal to provide such data will not allow the correct use of Magnetic MRO services. Affiliates and Partners. We may share your data with Magnetic MRO group companies and partners involved in services provision. These entities may receive your information only to the extent necessary for the proper execution of the purposes defined above. Data Processors. We may share your data with partners providing technological services, which were formally bound by means of a data processing agreement, pursuant to article 28 of the Regulation (EU) 2016/679. The full list of data processors is available by simple request to Magnetic MRO by sending an email to dpo@magneticmro.com. In addition, personal data may be transferred in case Magnetic MRO merge, re-organise or transfer all or part of Magnetic MRO business in which case your information will be disclosed to potential or actual successors of the business. Parties when required by law or as necessary to protect our services. Other Parties in Aggregated Form. We may also share your data with third parties in aggregated or non-personally identifiable form. In this case the Regulation (EU) 2016/679 does not apply. We primarily store and process your personal data in the EU/European Economic Area (“EEA”). If we do transfer your personal data outside the EEA it will be because you have consented or because we have a legal reason to do so. Make sure we have assessed the adequacy of protections in all other cases. Your personal data will be kept for no longer than is necessary for the specific purposes for which the personal data are processed. Pursuant to Article 25 of the Regulation (EU) 2016/679, we implement appropriate technical and organisational measures, which are designed to implement data-protection principles, such as data minimisation, in an effective manner and to integrate the necessary safeguards into the processing in order to meet the requirements of the Regulation and protect the rights of data subjects. Furthermore, according to Article 32 of the Regulation (EU) 2016/679, we implement appropriate technical and organisational measures to ensure a level of security appropriate to the risk and safeguard personal data in our possession against accidental or unlawful destruction, loss, theft, alteration or unauthorised use or disclosure. Please note, however, that no data transmission or storage can be guaranteed to be 100% secure. As a result, while we strive to protect the information we maintain, we cannot ensure or warrant the security of any information that you transmit to us. You may contact us, via email at dpo@magneticmro.com or via post at Väike-Sõjamäe 1A, 11415 Tallinn, Estonia, in order to assert your rights, as described in Articles 15 to 22 of the Regulation (EU) 2016/679, namely to demand: the confirmation of the existence of data concerning yourself and their origin and processing and the purposes thereof; the erasure (Article 17) or the rectification of data (Article 16); the restriction of processing (Article 18); the right to object (Article 22) and the right to data portability (Article 20). We shall provide information on action taken on a request under Articles 15 to 22 to you without undue delay and in any event within one month of receipt of the request. That period may be extended by two further months where necessary, taking into account the complexity and number of the requests. Magnetic MRO shall inform you of any such extension within one month of receipt of the request, together with the reasons for the delay. Where the request is made by electronic form means, the information shall be provided by electronic means where possible, unless otherwise requested by you. We inform you that you have the right to lodge a complaint to the competent data protection authority, pursuant to Article 77 of the Regulation (EU) 2016/679, if you believe that your personal data have been processed in violation of any applicable law concerning data protection. Welcome to the macinteriors.com website (the “Website”). The Website is owned and operated by Magnetic MRO AS (company code 10865988, VAT code EE100764615), with a registered office at: Väike-Sõjamäe tn 1a, 11415, Tallinn linn, Harju maakond, Republic of Estonia (“Magnetic MRO”). These website usage terms and any other policies referred to in these website usage terms (including any policies or documents to which a link is provided from these website usage terms) (together the "Terms") regulate the legal relationship arising between Magnetic MRO and a natural or legal person who uses the Website (the “User”) and apply to use of and access to the Website permitting the User to place an order for any products and services made available by Magnetic MRO for purchase over the Website. Please read these Terms before using the Website. The User should stop using the Website in case of disagreement with the Terms. By keeping to browse the Website, the User agrees to be bound by the Terms, all applicable laws and regulations, and agrees to be responsible for compliance with any applicable local laws, irrespective of whether the User is a registered Website user or not. Individual documents and parts of the Website may include special terms to be applied in addition to these Terms. The use of the services or purchase of products provided by Magnetic MRO is governed by special service agreement terms. In the event of a conflict between the Terms and the terms of the individual documents, the latter shall apply. in case of using the Website on behalf of an organization, the representative of the User is agreeing on these Terms on behalf of that organization and warrants that he/she is authorized to bind the represented organization. These Terms apply to the maximum extent permitted by law. If some provision of the Terms is invalid due to its contradiction with the applicable law, this does not affect the validity of the remaining provisions of the Terms. Magnetic MRO shall be entitled to, at any time, for any reason and without prior notice (i) amend these Terms and the appearance, content, availability and other features of this Website and the services and products supplied via this Website as well as (ii) restrict the access to the Website. Amendments and modifications of the Terms will enter into force as of the date of their publication in the Website, unless otherwise provided for in the amendments and modifications. The most current version of the Terms is always available on the Website. By continuing the use of the Website after the changes come into effect, the User agrees to the changes and is bound by the revised Terms. The Website, Website content (data and materials in any form, including texts, translations, photos, links, videos, files, etc., which may be made available on Website), Website code, domain name, and all copyrights, trademarks, corporate names and all other intellectual property or property therein are fully owned by Magnetic MRO and/or its licensors and/or content providers, and are protected by applicable domestic and international intellectual property and other laws. Unless expressly permitted by Magnetic MRO, the User shall not copy, capture, reproduce, perform, transfer, sell, license, modify, create derivative works from or based upon, republish, submit, edit, post, transmit, publicly display, frame, distribute, or exploit in whole or in part the website, the Website content or Website code, or otherwise use the Website, Website content or Website code, in any form or by any means. 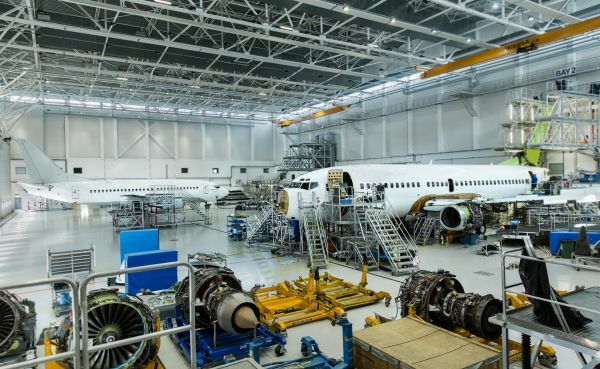 Magnetic MRO grants the User in accordance to these Terms a non-exclusive, non-transferable, limited right and license to access and use the Website and the Website content, provided that the User comply fully with these Terms. If User breaches obligations under the Terms, he/she will be obliged to compensate Magnetic MRO or other third party the damages suffered and reimburse all and any losses, expenses and costs incurred by Magnetic MRO or third party due to such breach. Reimbursement of losses does not exempt the User from the further fulfillment of the obligations undertaken by the Terms. THE CONTENTS OF THE WEBSITE ARE PROVIDED ON AN "AS IS", "AS AVAILABLE" BASIS WITHOUT ANY EXPRESS WARRANTY OR IMPLIED WARRANTY OF ANY KIND INCLUDING WARRANTIES OF MERCHANTABILITY, NON-INFRINGEMENT OF INTELLECTUAL PROPERTY, OR FITNESS FOR ANY PARTICULAR PURPOSE. MAGNETIC MRO DOES NOT MAKE ANY WARRANTIES THAT (I) THE QUALITY OF THE SERVICE, PRODUCTS OR INFORMATION WILL MEET REQUIREMENTS OR EXPECTATIONS OF THE USER; OR (II) THE SERVICE WILL BE UNINTERRUPTED, TIMELY, SECURE, COMPATIBLE WITH THE EQUIPMENT AND SOFTWARE WHICH THE USER MAY USE OR ERROR-FREE OR ERRORS OR DEFECTS WILL BE CORRECTED. TO THE MAXIMUM EXTENT PERMITTED IN ACCORDANCE WITH THE APPLICABLE LAW, IN NO EVENT SHALL MAGNETIC MRO BE LIABLE FOR ANY DAMAGES WHATSOEVER (INCLUDING, WITHOUT LIMITATION, INCLUDING BUT NOT LIMITED TO DIRECT, INDIRECT, ACTUAL, INCIDENTAL, PUNITIVE, SPECIAL OR CONSEQUENTIAL DAMAGES, DAMAGES FOR LOSS OF PROFITS, BUSINESS INTERRUPTION, LOSS OF INFORMATION) ARISING FROM THE CONTENT OF THE WEBSITE, OUT OF THE USE OF OR INABILITY TO USE THE WEBSITE, EVEN IF MAGNETIC MRO HAS BEEN ADVISED OF THE POSSIBILITY OF SUCH DAMAGES. Furthermore, Magnetic MRO does not warrant the accuracy or completeness of information of links or other items contained within these materials that have been provided by third parties. Magnetic MRO will use all reasonable efforts to ensure that the information and materials provided on the Website are correct. However, Magnetic MRO cannot guarantee the accuracy of all information and materials, and does not assume any responsibility or liability for the accuracy, completeness or authenticity of any information and materials contained on the Website. By submitting information and/or material via the Website or via e-mail to Magnetic MRO, the User agrees and warrants that: (i) the materials and information submitted by the User are correct and actual and are not unlawful or otherwise unfit for publication; (ii) the User has, before submitting any material, used reasonable efforts to make sure that the material does not include any viruses and that the material is not otherwise harmful; (iii) the User is entitled to transfer the material to Magnetic MRO; (iv) the User agrees not to present any claims against Magnetic MRO as regards the material that the User has submitted and the User agrees to indemnify Magnetic MRO, if any third party presents any claims against Magnetic MRO as regards the respective material. The User is responsible for maintaining the confidentiality of his/her account and password. The User accepts responsibility for all activities that occur under his/her account or password. The User agrees to immediately notify Magnetic MRO in the event of any unauthorized use of User account or other breach of security. This Website may contain links that make it easy for users to visit other websites. If the User uses the links to leave the Website and visit a website operated by a third party, Magnetic MRO does not have any control over that website. Accordingly, Magnetic MRO makes no guarantees about the accuracy, currency, suitability or quality of the information in such third party website, and Magnetic MRO assumes no responsibility for unintended, objectionable, inaccurate, misleading or unlawful third party content made available by other users or third parties, or violation of any third party rights related to such content. Magnetic MRO cannot be responsible for the protection and privacy of any information which users have provided while visiting such websites. 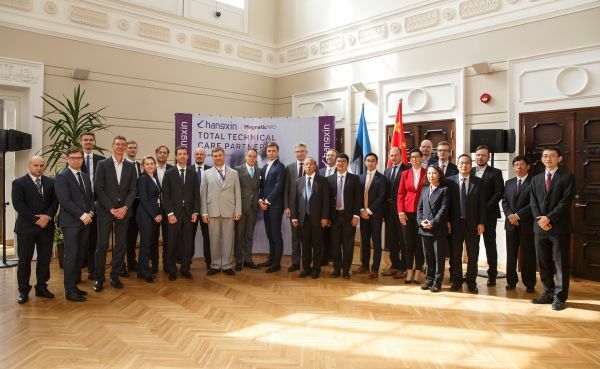 The laws of the Republic of Estonia and directly applicable legislation of the European Union shall govern the relations between Magnetic MRO and the User. As the Website may be accessed from all countries around the world and each of these countries has laws that may differ from those of Estonia, by accessing the Website, the User acknowledges and agrees that all matters relating to access to, or use of the Website shall be governed by the laws of Estonia (without reference to conflicts of laws principles). Any and all disputes arising out of or in connection with the access or use of the Website shall be resolved through negotiations, if the parties do not reach an agreement regarding the dispute, then the dispute shall be settled in the courts of the Republic of Estonia pursuant to the procedure set forth by the law. with more than 50 years of heritage. as a result of the sectoral expertise and service excellence provided. MAC Aero Interiors has been offering a high level of quality interior solutions to the aerospace market for more than 50 years. We are proud of our heritage and in the modern, fast changing aviation market, we consistently review our products and services in order to stay abreast of our customer needs and market expectations of quality and innovation. 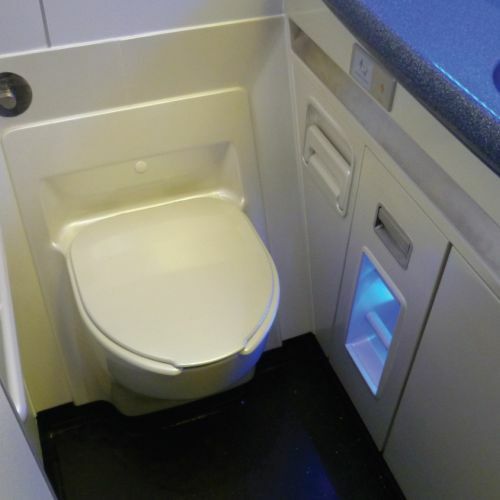 MAC Aero Interiors are experts in the retrofitting and refurbishment of lavatories, galleys, seating, partitions, stowage’s, monuments and VIP interiors for a wide variety of commercial aircraft. No challenge too small, no aircraft too big, with recent dedicated projects serving helicopters to A380 aircraft. We are working with many airlines that in today’s competitive market are looking to maximize their cabin offering whilst minimising disruption to their schedules. At MAC Aero Interiors we are committed to long term partnerships with our customers, we ensure your bespoke products are delivered on time. 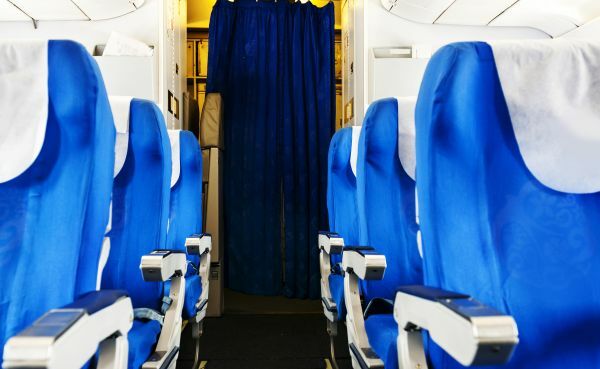 Our vast product range covers all aircraft interiors, and is diversified from original aircraft production offerings to the light weight replacement components and easy maintenance alternatives. VISION: To become a one stop independent interiors centre of excellence for Airlines, Asset Owners, and OEMs - recognized for bespoke quality and service excellence. MISSION: Our priority is innovative products and services delivery, ensured by qualified and experienced staff and constant upgrading on technological advancements. We are committed to long term partnerships with our customers delivering high quality products on time. 1962 - Aviation Furnishings International Ltd was founded in Dorking, UK by Mr MacIntosh. The company designed and manufactured aircraft interiors for the commercial and VIP markets concentrating on the innovative and ground breaking solutions. 1984 – Mr. Macintosh retired having guided the company’s development for 22 years, his dedication ensuring the health of the company. Aviation Furnishings focused their sights on markets within emerging economies, looking to develop and evolve national airlines to compete on the world stage. 1988 - One start up airline became a regular customer and still has a relationship with the company today. 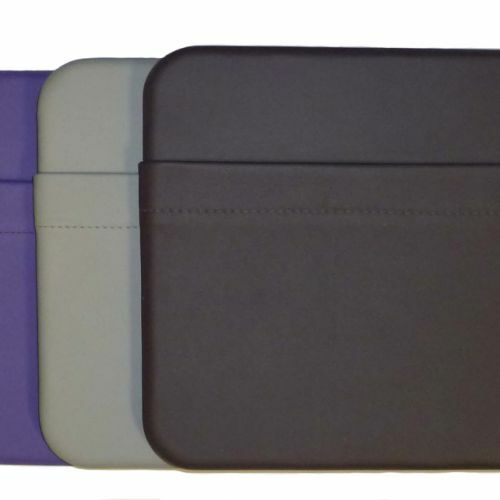 They came on board in the mid 1980’s requiring component repair and overhaul services to their Boeing 747 lift systems and baggage stowage, they also commissioned a range of innovative products that backed up the promises made by their luxury brand. The Airline was of course Virgin Atlantic, launched by Sir Richard Branson in 1984 with his promise of luxury for Upper class and business passengers driving the company ethos. To fulfill the promise, one of the commissioned products designed and built by Aviation Furnishings was the now famous Horseshoe Bar; the first in flight bar on trans-Atlantic flights to be installed on the B747. 1997 - Aviation Furnishings was acquired by Mitchell Aviation and under the direction of managing director, Ian Mitchell, there was to be a planned merger with Atlantic Equipment and Banham Hart. Funded by Ian Mitchell the merger combined skills, trades and equipment levels across the group. 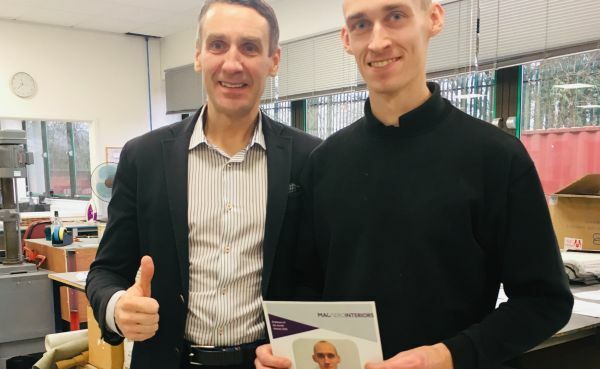 With Mitchell Aviation Group the company kept up high quality production values and maintained a position amongst its peers; the successes of the company being shown in the quality of its work and reactions from the market. 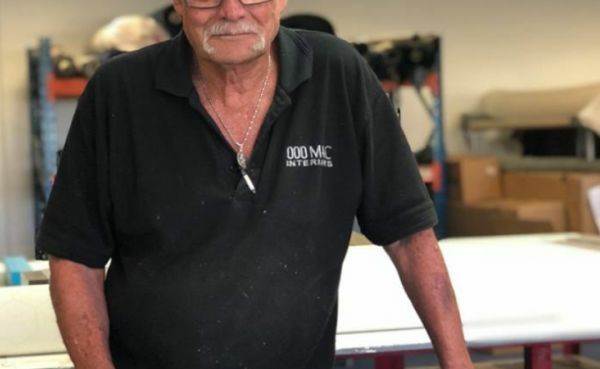 The Brown Family reacquired Aviation Furnishings and, rebranding as MacCarthy Interiors, based themselves at Redhill Aerodrome in historical Hangar 9. 2004 - The company had once again outgrown the facility it was in, needing to move they sought out local premises. The search led them to their current location, Beresford House, Perry Wood Business Park only a mile and a half from Hangar 9. The same year the first lavatory upgrade project was won which was to become a major Mac interiors product offering moving forward. 2005 - MacCarthy Interiors are selected by Airbus to supply literature pockets and magazine racks on A380 aircraft. MacCarthy Interiors are selected by Airbus to supply literature pockets and magazine racks on A380 aircraft. 2011 - MacCarthy Interiors are selected by British Airways to refurbish and overhaul all shorthaul and longhaul galleys for B767 fleet. MacCarthy Interiors are selected by British Airways to refurbish and overhaul all shorthaul and longhaul galleys for B767 fleet. 2012 - Happy birthday to us! 50th anniversary! As a company MacCarthy Aviation has come a long way from the days of Aviation Furnishings, but as a one stop shop for quality work from concept to completion, the company has retained the original passion and drive to deliver high end and commercial interiors to the best aircraft in the skies today. 2013 - In October 2013, MacCarthy Aviation Holdings announced that the business and assets had been purchased by Berwick Industries Ltd, part of the Berwick Group. As a result, the company started to trade under the name of ‘MAC Interiors’ with immediate effect. 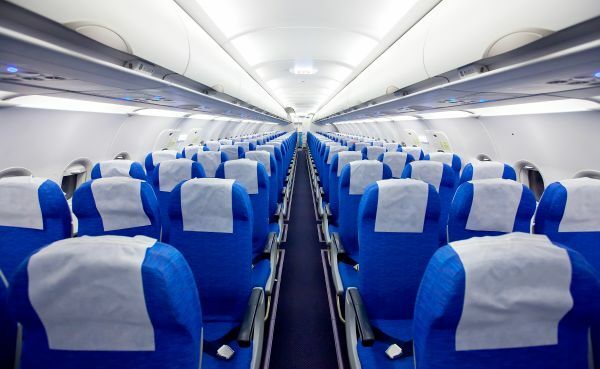 The rebranded company continued to provide airlines with aircraft interior refurbishment and reconfiguration services. “We see major opportunities in premium know how MRO services, such as Design, Certification, Interior parts Production and Engineering. 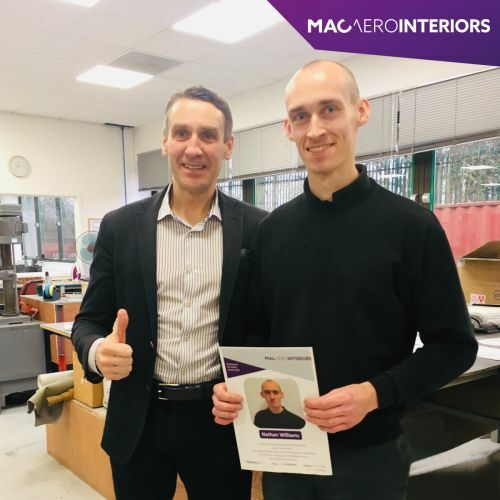 Thus we are very excited with the acquisition of MAC Interiors, a company with professional experienced team, long and impressive history, and a pipeline of ongoing projects with Tier A customers, including OEMs. Our plan is to develop MAC Interiors into one stop independent interiors center for Airlines, Asset Owners, and OEMs’’ stated Jonas Butautis, CEO of Magnetic MRO. 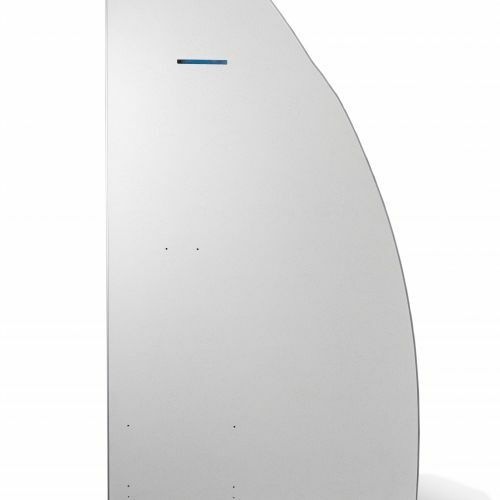 Our product range consists of various cabin and interior parts made from all different types of materials: plastic, foam, Corian, composite board, carbon fibre, metal and textile, both as individual replacement parts as well as modification programmes. We can manufacture complete range of alternatives and replacement parts for all manufactures, in any quantity and colour. 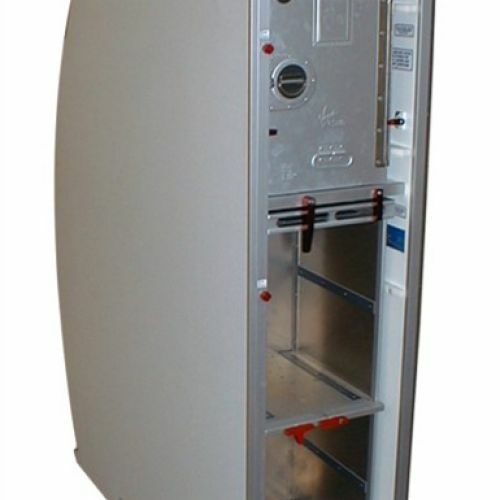 Below you can find examples of our products and solutions executed in previous years. MAC Interiors has a wealth of experience in the design and manufacture of movable class dividers for all types of aircraft including the Airbus A380. Since its inception in 1962 MAC Interiors has seen many types of interior finishings come and go with the changes in taste and fashion. From early VIP interiors to the business jets of today, MAC Interiors has experienced them all. But are there any products that stand out in today’s market place that will form the basis of interiors for years to come? 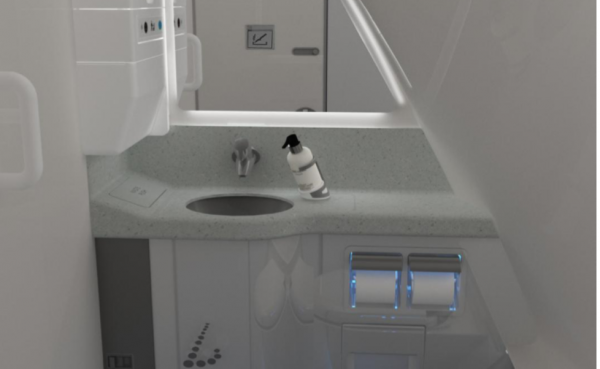 MAC Interiors designed and manufactured the A380 bar unit for the first demonstrator aircraft. 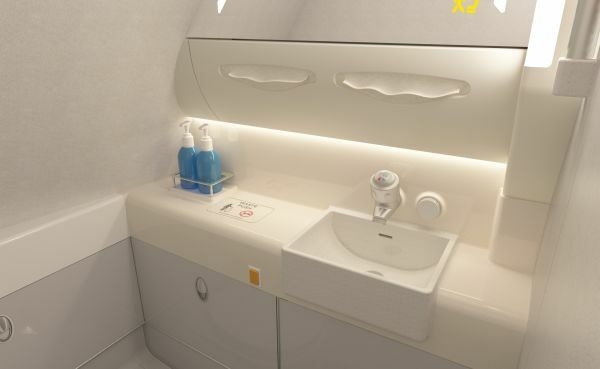 Flag carrier Air Astana, selected MAC Interiors to undertake the B767 Economy class lavatory refurbishment for their entire fleet of B767 aircraft. 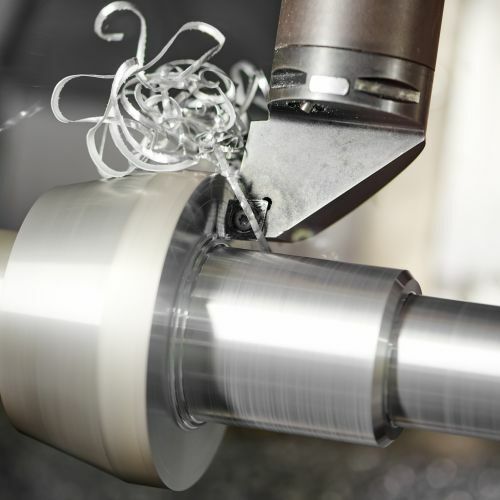 Covering 25,00 square feet our facility is fully equipped for manufacture of interior components. From brackets to the largest of galleys everything is done in house to keep control of cost, quality and build management ensuring you receive the best of service. 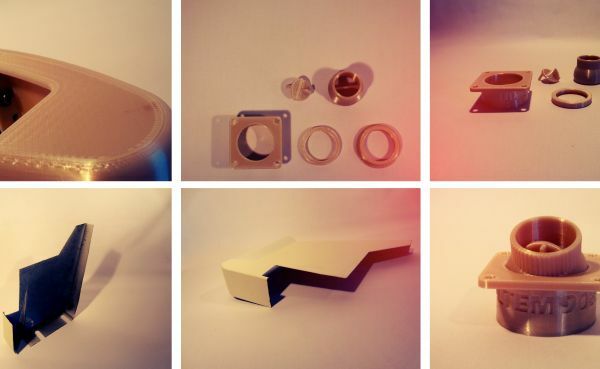 We only outsource around 10% of the overall service such as plating and anodizing. Approximately 80% of our work is exported. 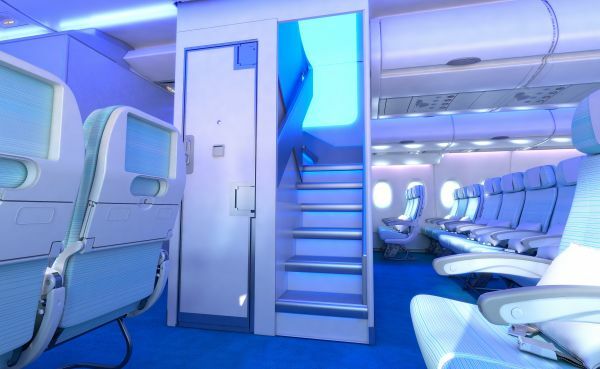 MAC Interiors are experts in aircraft seat refurbishment and were selected to refurbish 60 business class seats for two Air Astana B767 aircraft. MAC Interiors provide literature pockets for the A380 program direct to Airbus. We also supply direct to airline customers, we can design and provide bespoke solutions or replace existing product with MAC Alternative. MAC Interiors can manufacture a wide range of A340 closets and stowage solutions from hidden dog boxes, to full length wardrobes, MAC Interiors has a range of innovative space optimising stowage systems and with our design team working with the latest 3D CAD modelling software, stowage can be created in otherwise wasted areas of the aircraft. 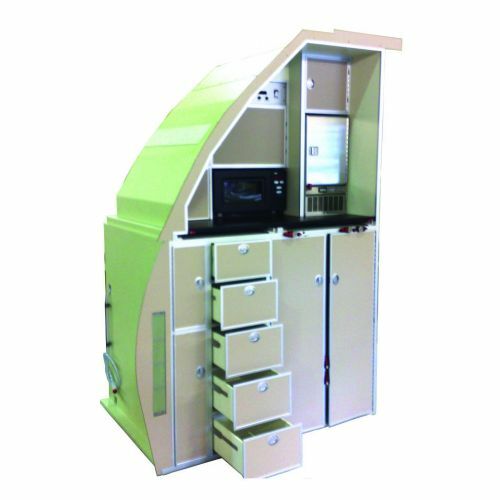 The pictured A340 closet was designed and manufactured at our facility near Gatwick airport for market leader Virgin Atlantic. 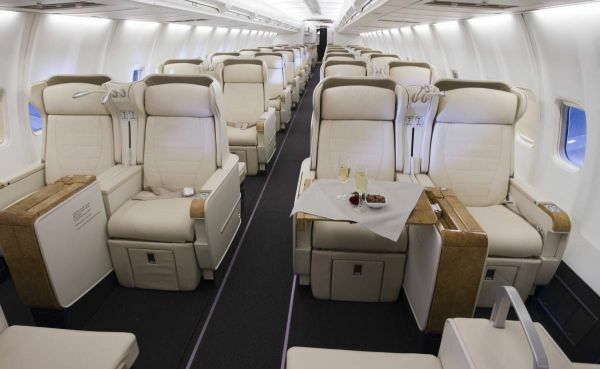 MAC Interiors background in design, engineering, manufacturing, certification and project management combined with an excellent market outlook for the large aircraft completion segment has led to establishing a range of dedicated VIP Completion services many years ago. 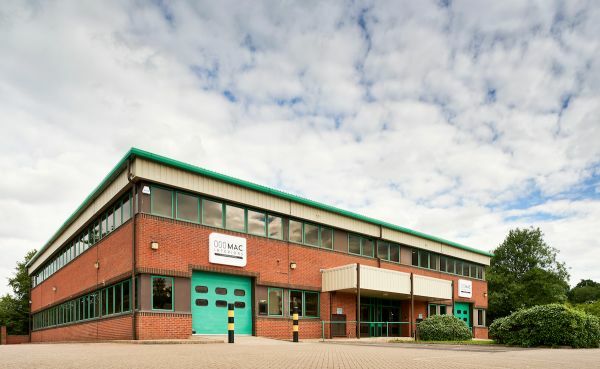 MAC Aero Interiors services have been formed to be flexible and consequently can be adapted to specific customer requirements - this is where we go further to provide total care solutions or individual services upon required scope. Our organisational knowledge also offers a competitive and proactive attitude, which gives us the ability to react quickly and adapt to customer needs in advance. Accordingly, we are not only offering the greatest solutions with the highest service quality; we also provide competitive prices accompanied by unrivalled lead times. 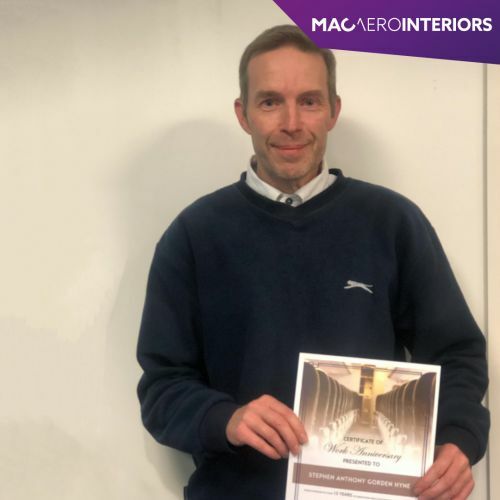 MAC Interiors is a Design Organisation Approval holder with the experience and ability to manage your aircraft interior design and development process from concept to completion. From industrial and conceptual design to fully certified electrical and mechanical engineering, the design team includes Structural, Mechanical and Electrical engineers, supported by Technical Publications, Certification and Stress Analysis disciplines. At MAC Interiors, superior engineering capability is a core asset of the company for more than 50 years. 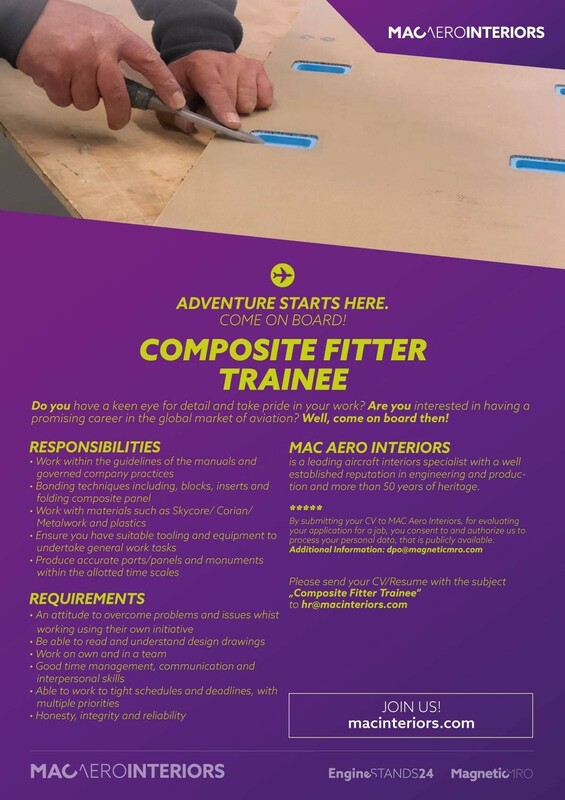 MAC Interiors has a team of highly experienced and skilled fitters capable of fitting interiors on aircraft around the globe. 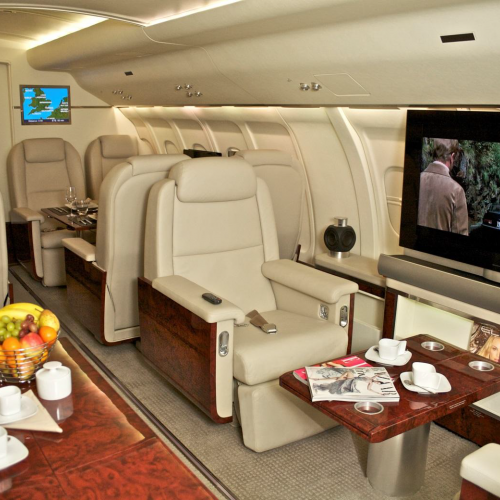 MAC Interiors are experts in the Refurbishment and Overhaul of aircraft interiors with particular expertise in. 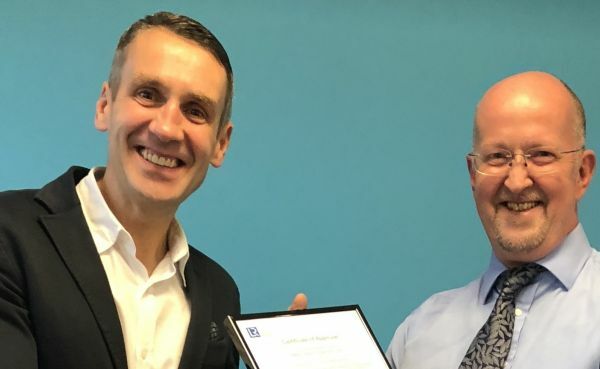 MAC Aero Interiors hold EASA Design Organisation Approval for the production of aircraft appliances and parts, maintenance of aircraft components, and design for aircraft interiors. We have received the relevant certifications and approvals from the country’s aviation authorities concerned, and have gained compulsory authorisations as well as attaining the utmost standards of quality for our customers. Welcome to our news platform. 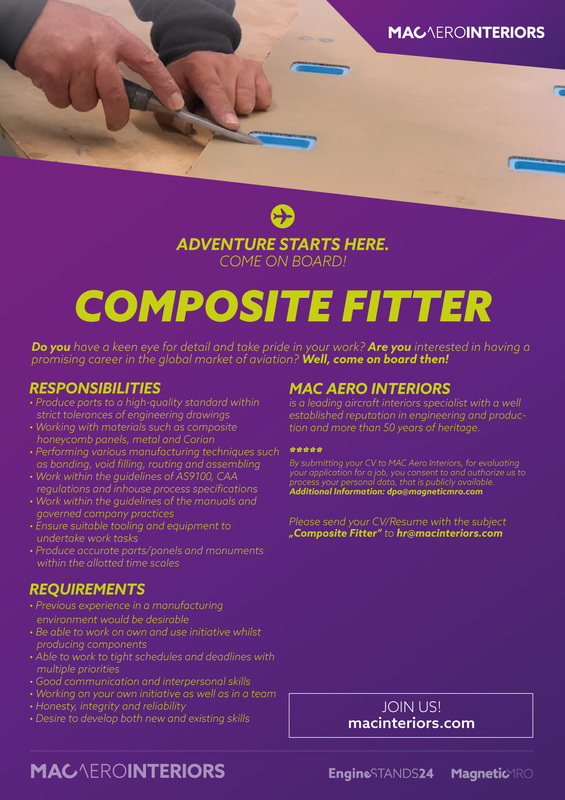 Here you can find press releases, events and information about corporate and industrial updates regarding MAC Aero Interiors. 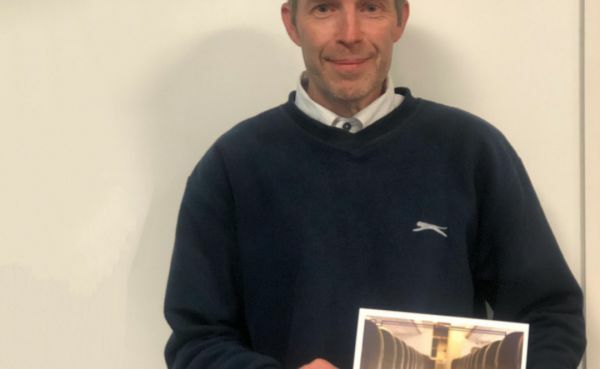 February 27, 2019 Once in aviation, always in aviation - Anniversary Interview with Michael Another month has passed, and this time we are proud to publish an anniversary interview with Michael Duffel. 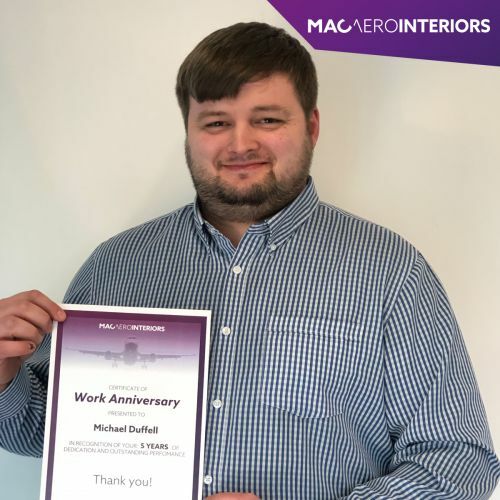 Michael works as a Production Manager at MAC Aero Interiors and has recently completed his 5th year at the company. 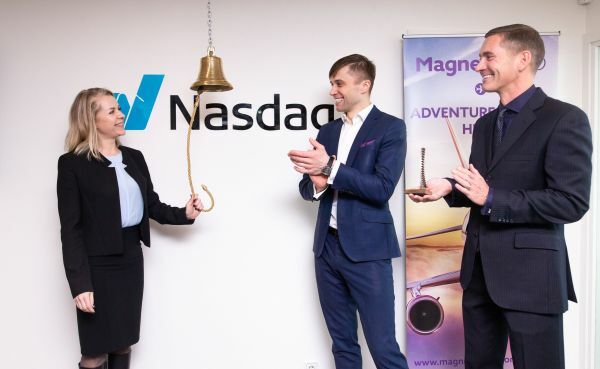 February 15, 2019 Magnetic MRO kick off Bond Trading Magnetic MRO, a global provider of Total Technical Care for aircraft operators and lessors, has announced their bond trading on the Nasdaq Baltic First North bond market as of today, February 14th. 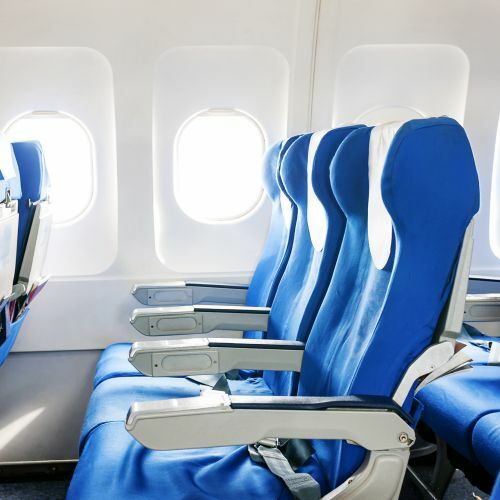 January 31, 2019 MAC Aero Interiors enters the Chinese aircraft cabin interiors market: launches a subsidiary MAC Sichuan MAC Aero Interiors enters the Chinese aircraft cabin interiors market by establishing a Joint Venture with Benniao Aviation. The newly launched MAC Sichuan will be providing total cabin technical care support to Chinese aircraft owners and operators. 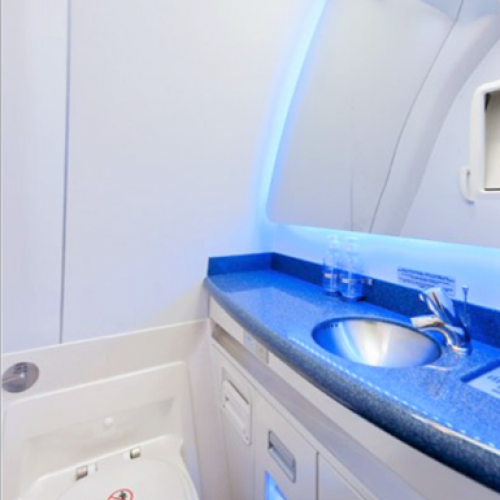 January 24, 2019 UK’s MAC Aero Interiors lands TUI Group with Boeing 767 retrofit Works MAC Aero Interiors has signed a four-year Contract with the world's number one tourism business TUI Group for the refurbishment and retrofit of its Boeing 767&rsquo;s lavatories. 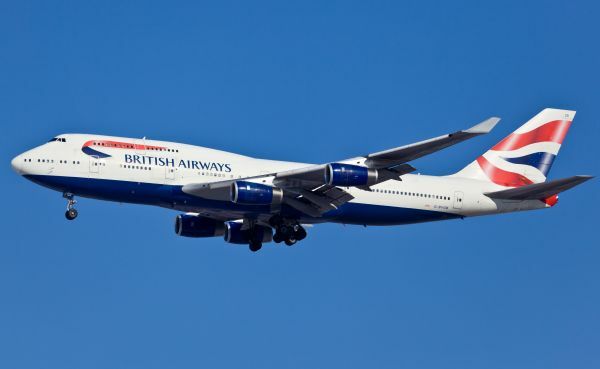 December 11, 2018 MAC Aero Interiors to complete a project for British Airways MAC Aero Interiors, a UK-based leading aircraft interior specialist with more than 50 years of heritage, is to complete a project for nine British Airways&rsquo; Boeing 747-400 aircraft. November 13, 2018 MAC Aero Interiors Quality System certified to AS9100 Revision D MAC Aero Interiors have received the certificate AS9100: Revision D, confirming the company's successful transition and assessment to the latest quality standards. May 22, 2018 MAC Interiors' parent company Magnetic MRO acquired by Hangxin Magnetic MRO, the parent company of MAC Interiors and EngineStands24, was acquired by Guangzhou Hangxin Aviation Technology. 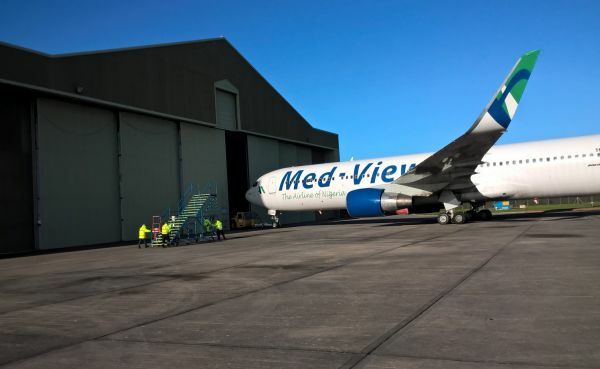 March 06, 2018 MAC Interiors is to complete a whole cabin modification project for Med-View Airlines MAC Interiors is getting ready to release Med-View Airlines&rsquo; Boeing 767 aircraft following a full cabin modification project. December 19, 2017 MAC Aero is on-board with AS9100C MAC Aero Interiors has gained AS9100 certificate meeting high quality system requirements in aerospace industry. August 08, 2017 Mac Interiors Announces Facility Expansion MAC Interiors is pleased to announce its facility and capability expansions. 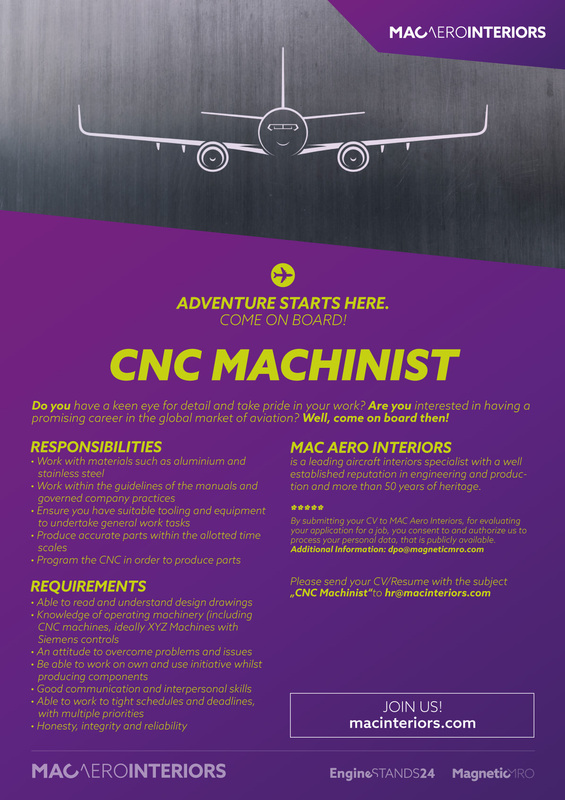 November 23, 2016 Magnetic MRO and MAC Interiors unify their forces for 3D Printing of aviation approved parts After Magnetic MRO had acquired MAC Interiors, both parties have come across new opportunities including innovative in-house capabilities. October 07, 2016 MAC Interiors relaunches its corporate website MAC Interiors, a UK-based leading aircraft interior specialist with more than 50 years of heritage, is pleased to announce the relaunch of its corporate website (http://www.macinteriors.com). August 23, 2016 MAC Interiors has set-up its own stress testing facility. MAC Interiors has set-up its own stress testing facility in order to be able to do in-house stress testing and evaluation of new products to be certified in faster and more flexible manner. August 16, 2016 MAC Interiors are expanding into soft furnishing MAC Interiors, UK-based airline interior specialists, continues to expand its customer profile and increase the number of orders after the acquisition by Magnetic MRO. February 15, 2016 Magnetic MRO completed acquisition of MAC Interiors in February Magnetic MRO (www.magneticmro.com), Aircraft Maintenance and Repair Organization, completed acquisition of MAC Interiors in February. May 01, 2014 Iceland Air place big order National flag carrier Iceland Air has awarded MAC Interiors (formerly MacCarthy Aviation Holdings Ltd) a significant contract to provide lavatory upgrade kits for two B737- 800 and one B737-700 aircraft. 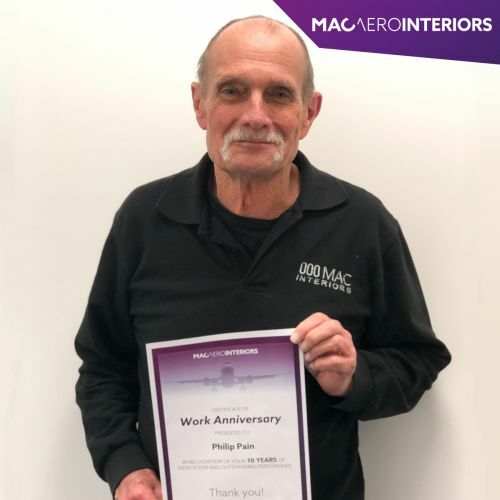 We would like to introduce you Phil to celebrate his 10th anniversary in MAC Aero Interiors. Phil kindly shared his story about finding his way in aviation. Another month has passed, and this time we are proud to publish an anniversary interview with Michael Duffel. Michael works as a Production Manager at MAC Aero Interiors and has recently completed his 5th year at the company. 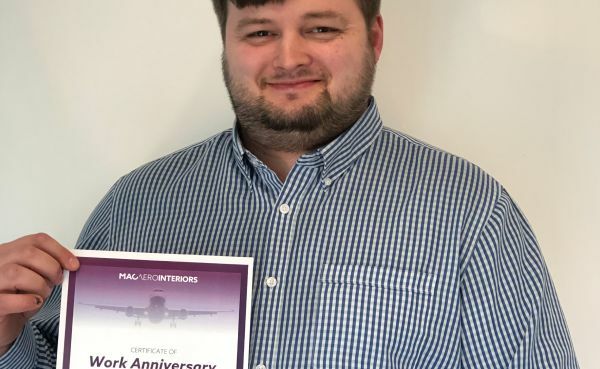 MAC Aero Interiors is pleased to announce January 2019 Employee of the Month - Nathan Williams. Magnetic MRO Marketing Coordinator Annika made a little interview with Nathan to celebrate the occasion and to learn more about his experience in the aviation industry. 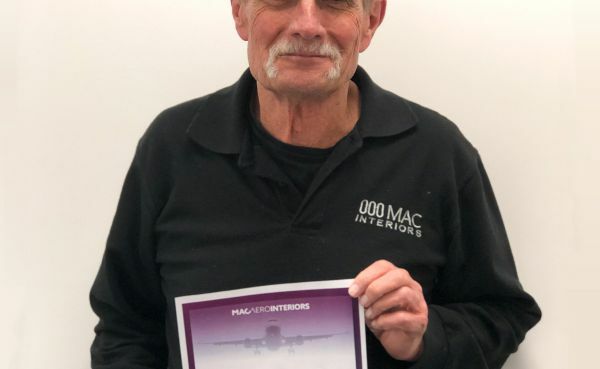 Steve - a true sportsman in MAC Aero Interiors for already 13 years. Our Trimmer Phil says he's been in aviation almost his entire life, since the early 1950s. 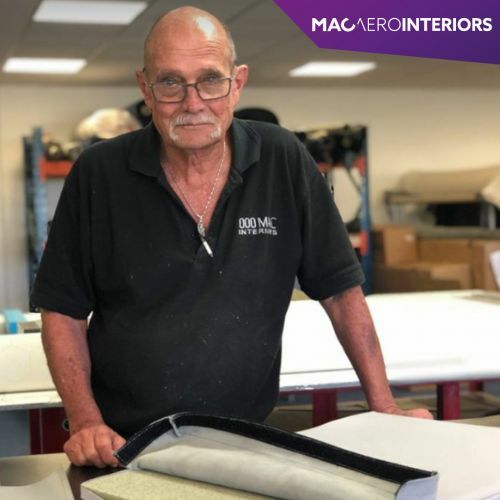 Our Composite Engineer Nigel brings his almost 30 years of experience in aviation to MAC Aero Interiors. Please do not hesitate to get in touch with us regarding any enquiries via mail or phone. Also, you can always come visit us in our facility for further information about us. At MAC Aero Interiors, we believe in a work environment where everyone feels valued and appreciated. We believe a great team with a diverse background is one of our strongest differentiators, and it leads us to become more competitive and innovative in what we do. We offer our employees exciting career opportunities in one of the most attractive global industries in the world. 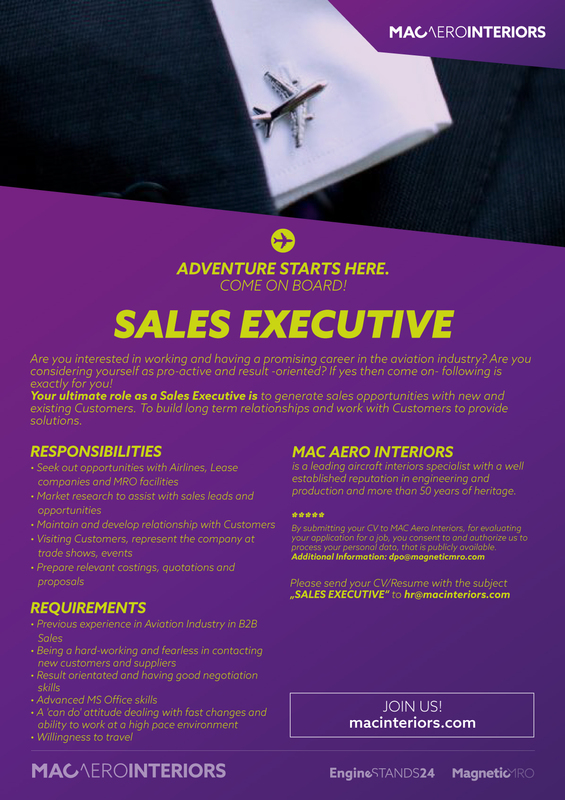 Please follow our website to see potential vacancies on this page, and feel free to get in touch with hr@macinteriors.com if you are interested in joining our team. By submitting your CV, you consent to and authorise us to process your personal data, including publicly available social media information about you, for evaluation your application for a job. Please contact us if you will have any questions about your personal data processing.